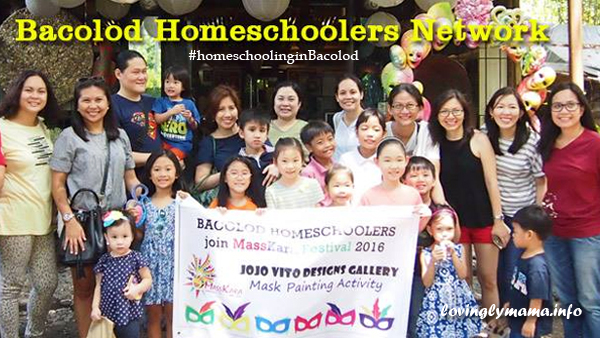 The Bacolod Homeschoolers Network is a group of families who are already homeschooling their children or are planning to. We aim to network with other families so that we can provide extra curricular activities and avenues of friendship for our children. The Bacolod Homeschoolers Network painted masks for the MassKara Festival. The story of three very different animals — a bird, a monkey, and a fish–all learning uniform skills from animal school encouraged my husband and I to choose homeschooling for our children. We both wanted to do it, even before I was pregnant with our first child. We believe that each child is unique and should not be made to conform in a class of 30 to 40 students, all learning the same things and forced to follow the same pace. So when I got pregnant and subsequently gave birth, everything that we did, including the activities that we chose for our daughter, were geared towards building her up for homeschooling. If by any chance you are interested in homeschooling your children, here is an article I wrote in the past: Choosing to Homeschool our Children in the Philippines. I can only speak about our experience with the Philippine School of Tomorrow. However, there are many other providers that offer different kinds of curriculum and prices. All of them are based in Manila. A lot of people expected our daughter to go to the same Chinese school where my husband graduated and where my father-in-law is a member of the school board. We were also met with questioning looks, actual questions, up to downright discouragement in our choice to homeschool our daughter. As a homeschooling family, we get to declare holidays and go on vacations any day of the year. This was taken at Richmonde Hotel Iloilo. It was not an easy choice, with nobody in our immediate circle encouraging us. And in our case, we were thrown with more questions that we can provide answers for. After each encounter where we had to explain our choice to homeschool, I felt exhausted And we haven’t even started yet. When we started homeschooling our eldest daughter Shawna for Level 1, it was a lonely planet for us. 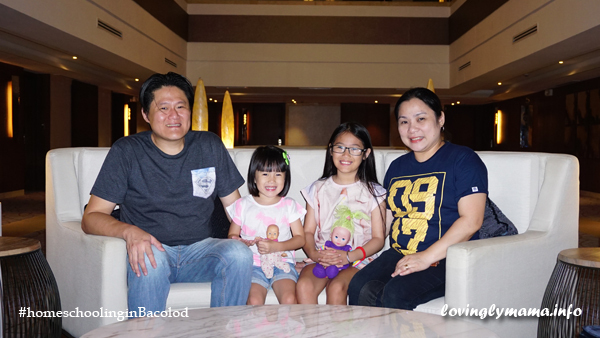 We knew that there were other homeschooling families in Bacolod, but for two years, the feeling is that we were alone in this endeavor. On our third year, I opened a public group on Facebook for those families who are homeschooling in Bacolod. Anybody who was already homeschooling or was planning to homeschool their children was added there. It is a group that made us feel that we belonged. 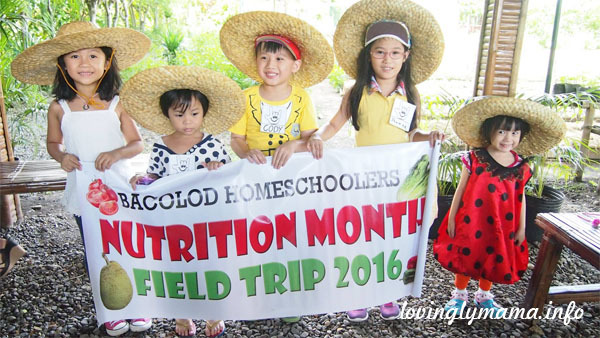 The first-ever activity of the Bacolod Homeschoolers Network is the Nutrition Day field trip in July 2016. There, I answered inquiries about homeschooling to the best of my ability. We also encouraged each other. The group was existing for a few months already when I finally decided to hold our first activity. That was in July of 2016. The activity wasn’t structured–I just wanted our kids to have a Nutrition Month event. It was to henceforth mirror every monthly activity that is being held in a regular school. I made the call in the group, inviting the other parents if they want to let their children join in a Nutrition Day activity, specifically a field trip. I scouted for places to hold it and eventually, I decided on having our Nutrition Day at the Welcome Home Organic Garden and Cafe. Only three other moms responded. We brought our kids to Welcome Home, let the staff do their farm tour, and ended up partaking of an organic lunch at their garden cafe. It was a lovely and enriching experience for the kids and also a refreshing time for the parents. We were able to bond and discuss matters pertaining to homeschooling. It was empowering because at that moment, we felt stronger and affirmed because we were together. Since I took a lot of nice photos during the event, I posted them on my personal Facebook account and shared it to the group. I then got inquiries about the next event as well as inquiries on how to join the group. So, I made the group private already because of the security risks about letting the public know of our next activity. For security, I made sure that the members I added are actually homeschooling and not just there to snoop around. Our 2nd activity was the Araw ng Wika. From the 5 kids that we had during the Nutrition Day, the 2nd activity had 12 participants (3 are not in the picture). 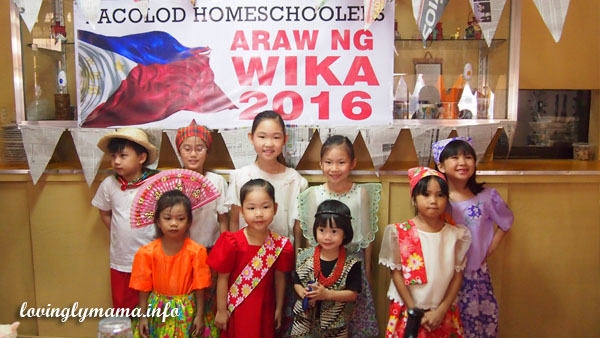 The following month, which was August, we held our Linggo ng Wika activity at Tita Beth’s Pancit Malabon Haus for a barrio fiesta themed event. Our attendees increased to 12 kids. 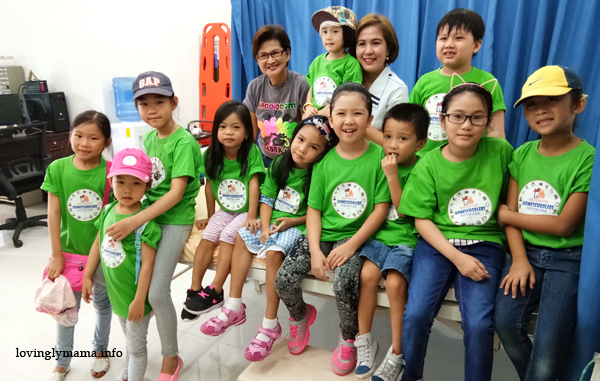 As we were getting bigger and there were more inquiries, I started the groups’ Facebook page and that was when the BACOLOD HOMESCHOOLERS NETWORK was born. The Bacolod Homeschoolers Network is a non-profit organization. We are composed of Bacolod-based families dedicated to homeschooling our children and preparing them holistically for the future. We network with other families to provide monthly extracurricular activities for our homeschooled children. It is our aim to enhance our kids’ learning experience as well as build friendships with their “homeschoolmates”. Moreover, we also provide information to those who are interested to homeschool their children here in Bacolod. We channel them to homeschooling providers and give them tips on how to go about it. The homeschooling community here in Bacolod is picking up and we would like to be instrumental in making this community grow. From only four families with a total of five kids, we now have 17 member-families and over 20 kids who are involved in the network. Our BHN page has grown, now having almost 1,500 followers. We post our activities there that have already passed (as I’ve said, for security reasons and also because such events are not public). We also share insights and tips there. 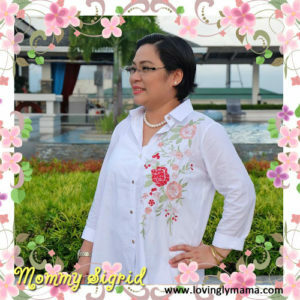 I now run the page with another mom, Tracy Divinagracia. Together, we answer inquiries about homeschooling. The kids at VMA Global College. It was their first time to wear their official T-shirts. To make our organization more structured, I made an official BHN logo and also had official T-shirts made for the children. That way, they have uniforms whenever we have activities that wouldn’t need costumes. It’s also easy to spot them in the crowd. As homeschooling families, we know that homeschooling is not for everyone, just as traditional schools are not for us. What we are showing other parents is that going to a traditional school for their children’s education is not the only option. This is especially true for parents who have disappointments in regular schools or whose children are experiencing bullying. In one singing contest event held at the mall where my daughter Shawna joined, I was approached by another mom. She said that she is now homeschooling her daughter, all because she read my article. I was told that because of the information I shared, she was able to understand more about homeschooling. She withdrew her daughter from their regular school and is now homeschooling. Our daughter’s birthday outreach at Home of Hope together the Bacolod Homeschoolers. The kids just mingled and played with the residents. Another mom also shared that she was happy to have found our group. She has been homeschooling for a year already and thought she was all alone here in Bacolod. She said, “Thank you. I thought I was an island mom homeschooling my kids (6 and 3 yo). Glad I came across your group. You are Godsent.” Words like these warm my heart, as honestly, I never expected that my little “movement” on FB would stir something big in our city. Aside from our fun monthly activities, we also want to expose our children to various campaigns that will form their values. One such activity is the holding of an outreach during Shawna’s birthday. BHN kids Rihanna and Psalm and their moms during the fruit tree planting activity in Brgy. Tinongan, Isabela, Negros Occidental. 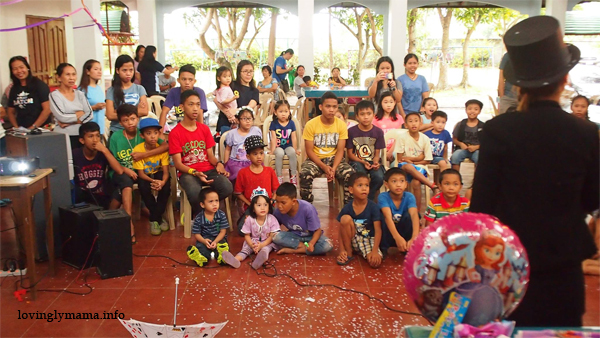 Instead of holding a birthday party with friends, we held her 8th birthday celebration at the Home of Hope in Brgy. Handumanan, Bacolod City. We went there along with other homeschoolers. We did it complete with a magician and we told Shawna beforehand not to expect gifts. She was very happy that we did that. 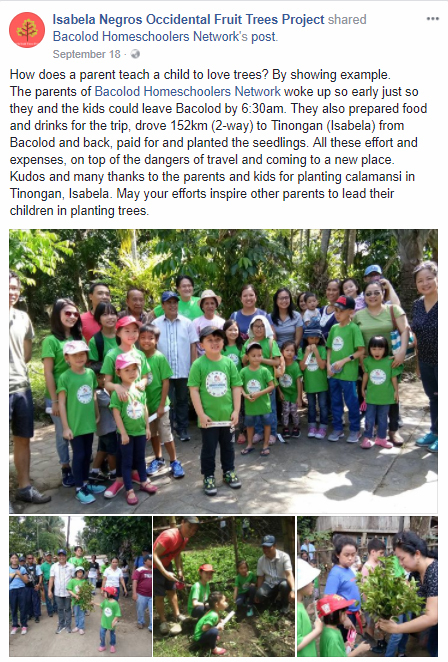 For an activity with an environmental and socio-economic impact, our group went to Isabela, Negros Occidental for a fruit tree planting activity in the backyards of some residents in Brgy. Tinongan. 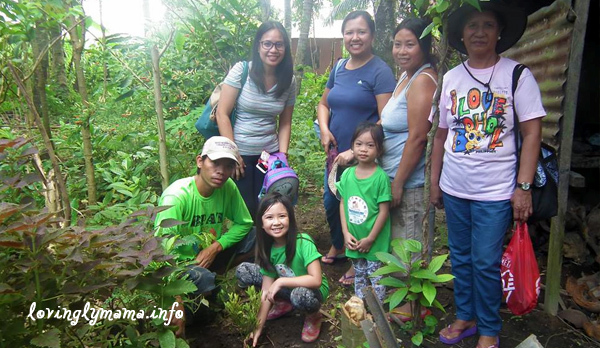 Read more about that activity: ISABELA FRUIT TREES PROJECT with BACOLOD HOMESCHOOLERS. This activity was graced by Isabela Mayor Joselito Malabor and was published in a local daily. 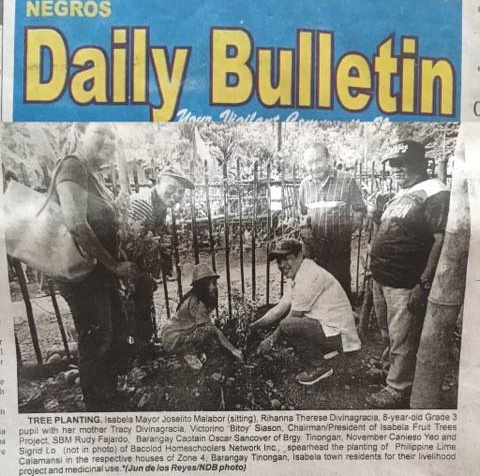 Our fruit tree planting activity in Isabela, Negros Occidental was published in the Negros Daily Bulletin. What the Isabela Fruit Trees Project said about the Bacolod Homeschoolers Network. Because of my consistent efforts to make the concept of homeschooling in Bacolod become more popular in the city, I have been invited to speak about homeschooling twice already. 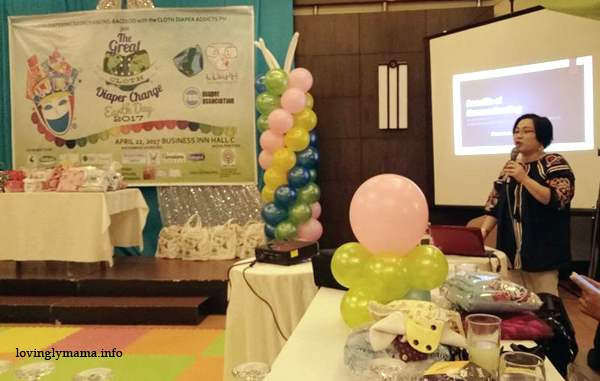 The first one was when I talked about the Benefits of Homeschooling during the 1st Cloth Diaper Change 2017 event held at the Business Inn here in Bacolod City. Talking about the benefits of homeschooling during the 1st Cloth Diaper Change 2017 event. 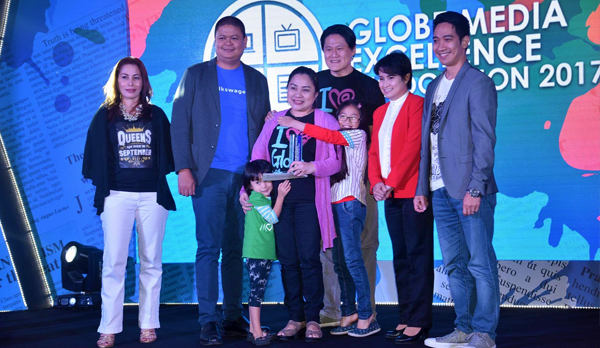 The second one was during the Expo Mom 2017 event at The District North Point in Talisay. Together with Mommy Tracy and Mommy Laksmi, we were talk show guests who answered questions about homeschooling in general and our individual journeys in particular. 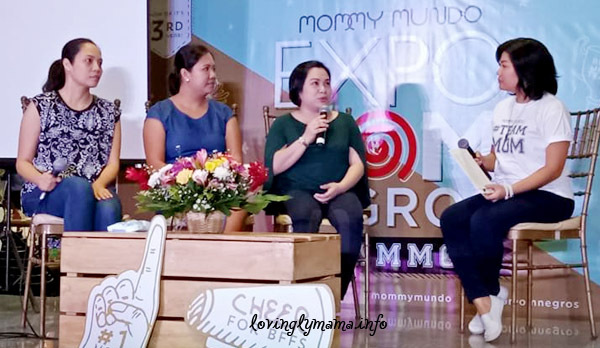 Bacolod homeschooling mommies Laksmi, Tracy, and I were guests at the Expo Mom 2017 talk show where we talked about homeschooling. 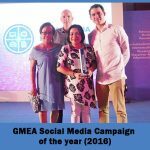 Perhaps the greatest milestone that I’ve experienced in relation to the group is being awarded the Social Media Campaign of the year at the Globe Media Excellence Awards 2017. This is for my online campaign, #homeschoolinginBacolod. It is a year-long search for the online campaign that has the most impact in its area of coverage. 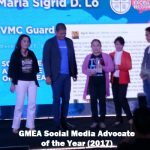 Getting recognized for my campaign #homeschoolinginBacolod – the official hashtag of the Bacolod Homeschoolers Network. 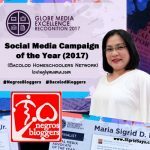 If there is one big change that I have noticed in the homeschooling landscape in Bacolod then and now, it is the way people react towards us whenever they learn that we are homeschooling our kids. Whereas in the past, we would only hear discouraging remarks, now people are more accepting and are even impressed with the system, especially after they meet our kids and discover how well-adjusted they are. Though pretty young, the Bacolod Homeschoolers Network has already impacted so many lives, not just our member homeschooling families but most especially to those who are looking for education alternatives. My husband and I have made this choice for our children and we are finding ways to make this journey more fulfilling for us, for our kids, and for other homeschooling families as well. We are happy that as a family, the little things that we do are not just creating ripples but waves in the society that are paving the way for acceptance and understanding of the concept of homeschooling. 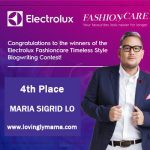 To connect with us, you may leave a comment here or send us a private message in our FB page. BACOLOD HOMESCHOOLERS it is! I’m so happy we are part of this group. A rewarding journey for each family to discover and impart what we wanted our children to learn outside traditional schools. A great article about home schooling. The kids have time for creative play and teaching kids about the practical ( real) life. 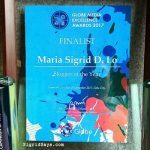 Keep up the good work Bacolod Homeschoolers Network! A great article ? Very useful for those who are considering homeschooling. I am so happy that homeschooling parents and kids in Bacolod have come together. But as a very young group we have a long way to go to make our meetings more fruitful. I also look forward that the relationship of our kids will be tight and someday they will plan activities on their own and encourage each other to learn or pursue their dreams. Thank you Bacolod Homeschoolers Network members!!! All of you are a blessing! One important thing I bear in mind about homeschooling is that there are actually no holidays in homeschooling. Every day is a learning activity. I intentionally encourage our older daughter that her schooling and learning is non-stop. I hope I can convince the same with the 2nd child.